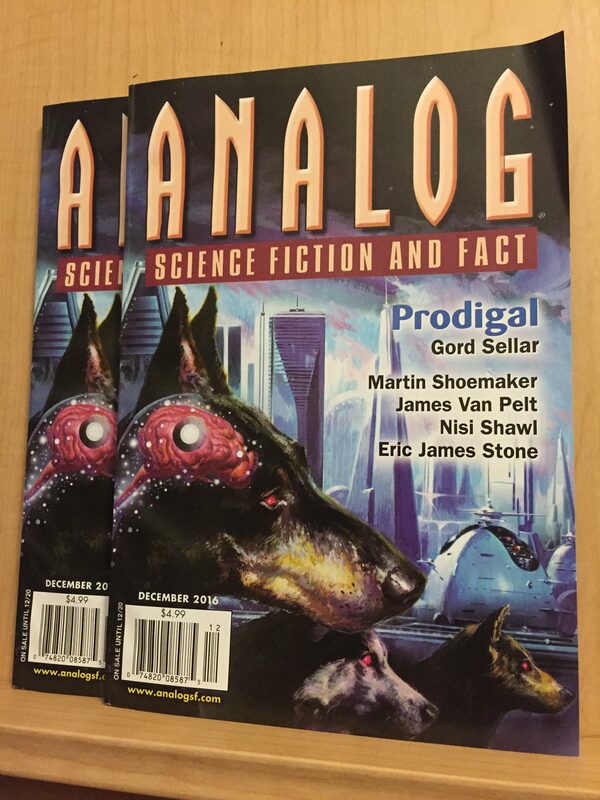 I’ve finally received my contributor’s copy of the December 2016 issue of Analog! Pretty exciting. I’ve actually had it for about a week, but have been too busy to mention it here. The Year’s Best Science Fiction, Thirty-Fourth Annual Collection, edited by Gardner Dozois: the TOC here includes many wonderful authors and stories, including my pal Ian McHugh and our onetime instructor Ian R. MacLeod. Officially announced just the other day, Neil Clarke’s The Best Science Fiction of the Year Volume 2, where my story is in similarly flattering company. The response to the story has been amazing, and very encouraging, especially since for a long time I wasn’t sure if it would ever sell. Thanks everyone!